I’ve loved the natural beauty of the Ozarks since my first visit, about 25 years ago. My husband grew up in northwest Arkansas and every time we visited his family, I asked if we could move there, but I guess the time wasn’t right. 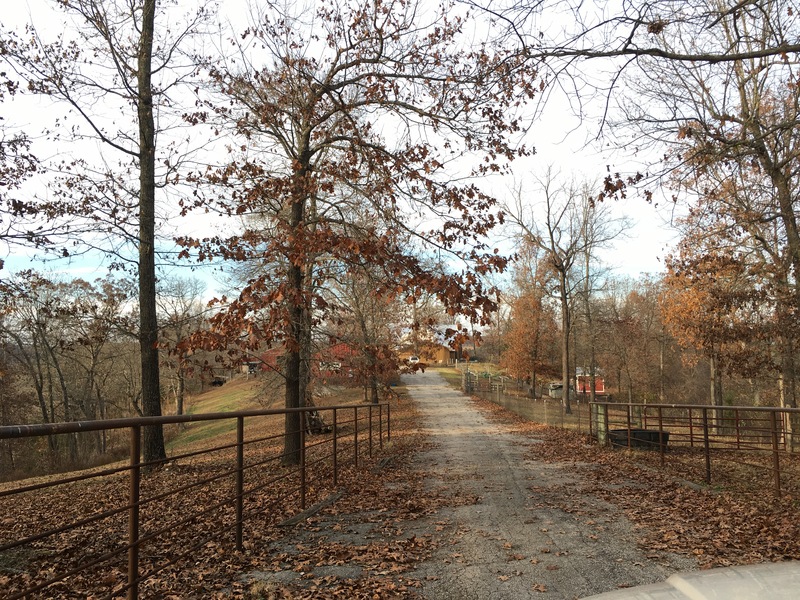 Soon after our son was born, Scott’s parents bought some land in southwest Missouri. We lived in Texas at the time, but I was born in Oklahoma, only about two hours west of it. The familiar flora and fauna of the area brought back childhood memories and it felt like home. One of my favorite photos was taken on our first visit to that farm. It’s of our son, Hayden, in the chilly spring water of Mike’s Creek during a family cookout. As part of our introduction to the area, Scott’s parents gave us a tour. I remember driving past a house that set out on a knoll at the end of a long driveway. Partially obscured by humongous oak and walnut trees, it looked like something from a fairytale, and I thought it looked like a nice place to live. Fast forward about twelve years. Our circumstances had changed and we were considering moving to the “middle of nowhere” in southwest Missouri to live on that farm Scott’s parents had purchased years earlier. I was excited about the idea, but it would also be a big change for our family so I wanted God’s blessing. I prayed about it and asked Him to give me a sign. In debating what that sign should be, I settled on asking for a blue bird of any kind. At the time we lived on the Texas coast, and we really didn’t have many blue birds, at least not like up in the Ozarks. I was trying to think of something that would stand out to me as something special. Around that time Scott’s parents bought another farm in the same area. Scott was anxious to see it so we made a spontaneous trip back. The whole extended family had gathered and everyone was walking around, investigating everything on the new property. There was a huge horse barn and the doors at both ends were open, so I walked all the way through to the other end and stood in the doorway looking at the edge of the woods. There was a bunch of chattering in the trees, and all of a sudden I realized that they were filled with Blue Jays. I felt like it was God answering my request for the sign of a blue bird, but with an exclamation mark! It made me happy to feel like God had given us His blessing. Not only that, but through a turn of events, the house that I had admired on our first visit became our new home. I had not asked for it, it was like a surprise gift. We’ve lived happily in that home for about nine years now, the longest I’ve ever lived in one place. Our children finished growing up in it and were able to experience country life. Our move to the Ozarks has truly been a blessing, as affirmed by little birds. The view of our home today. Please subscribe to be notified of new posts by Mid-Life Blogger.